I Find that the best evenings I have with my family are the ones where we gather around our fire pit and just talk and play outside-No TV no work, just quiet (OK, with my family, not so quiet) time around a campfire. Those nights allow me to really connect with my kids, which is even more important as they are growing up on me! My oldest will be 21 this year! I wish that I could turn back time, just a little, and take time for more campfire moments. 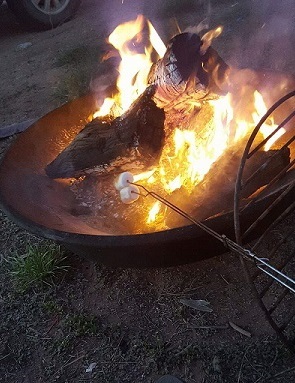 Sadly, I can't move time any easier than I can get my kids to stop growing up, so I will just have to take more time to make more campfire moments with my family. 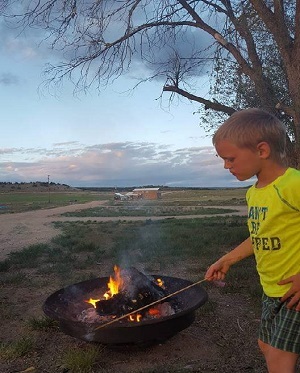 Something I can do, though, is help others experience their own campfire moments by making it a little easier to get to that campfire (not everyone has a firepit in their front yard). Most of our rafting trips include the campfire, and even if we are on fireban, we still have time to visit and play on beautiful beaches surrounded by the peaceful sounds of nature's orchestra. Right now we are offering a great deal on our Green River Family Trips in Desolation Canyon and in the Gates of Lodore: We have extended our youth rates to children up to age 21, and we are offering a special group discount that will give 1 free youth for every 4 guests on a reservation (yep, buy 3, get 1 free!). To get this special group discount, you can use the promo code TurnBack19 on our website or just ask for the TurnBack discount when you reserve by phone.